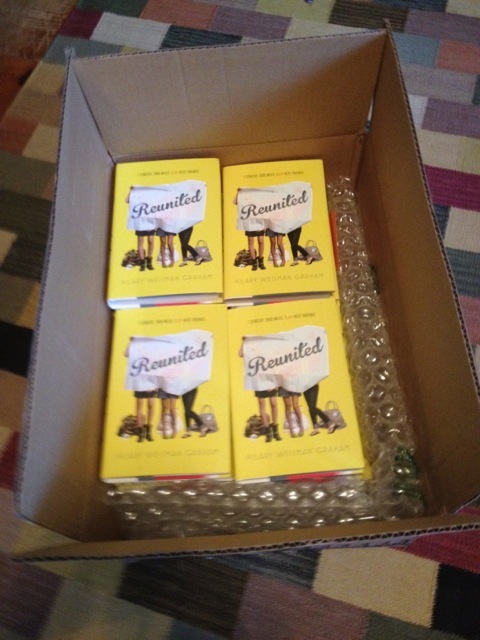 26 days ’til release day and I got my author copies of REUNITED in the mail! The real book. The actual thing. If I had more time, I’d take a series of photographs of my book and me on location— sharing a stolen kiss as we sit together on a porch swing in the moonlight, giggling to ourselves as we try on hats at the mall while “Girls Just Wanna Have Fun” plays in the background, walking along the beach at sunset, holding hands (but mysteriously leaving only one set of footprints). But my book cover and I are way too busy for such frivolity. Um…YAYAYAYA! How exciting, it’s so pretty 🙂 26 days? Really? You sure? Woah! That is sooner than I thought…awesome! Could you spare one for a lonely little reader that wants so much to read your book! I even started following Level 3 on FB and they are actually kind of funny! And then I started listening to One Direction. What am I 17? No, but I’d really love to read a copy before it comes out!! I haven’t won any of the 60 gazillion contests for it. Think karma’s trying to tell me something? 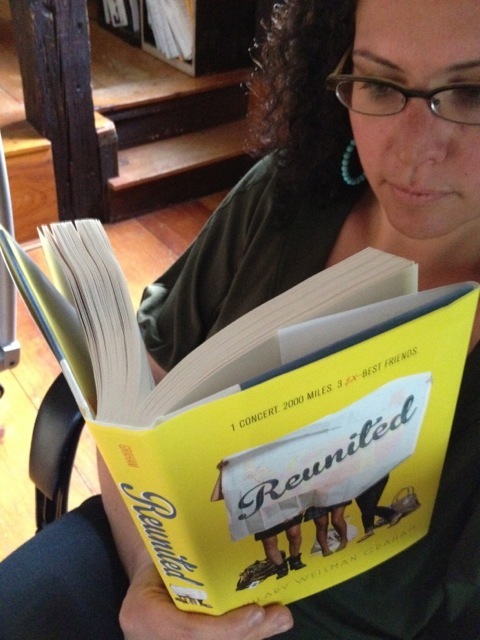 I so loved the trailer for Reunited! I’m sure it’s going to be awesome! You must be I dunno, running around town letting everyone know you’re an author? I would! You two look beautiful together! Congratulations. Looking forward to curling up with a yummy summer read!